It’s fair to say that many (if not all) of the health tips listed in this article will be applicable to anyone who is reading – not just wheelchair users. 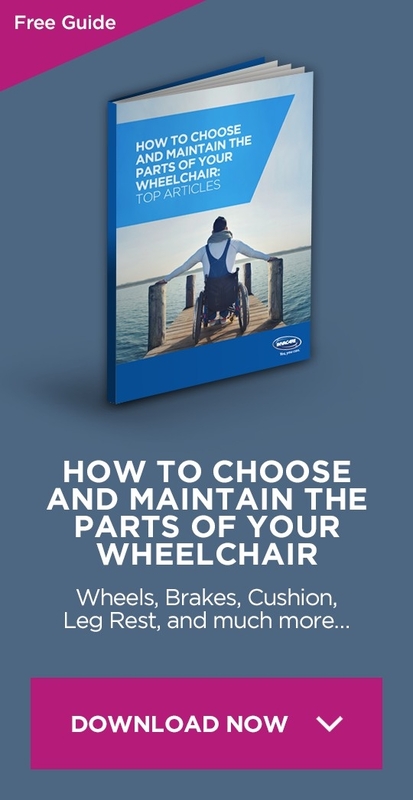 But the fact that being in a wheelchair can often bring with it it’s own set of health complications, it’s perhaps even more important that you at least try to adhere to some of this advice. 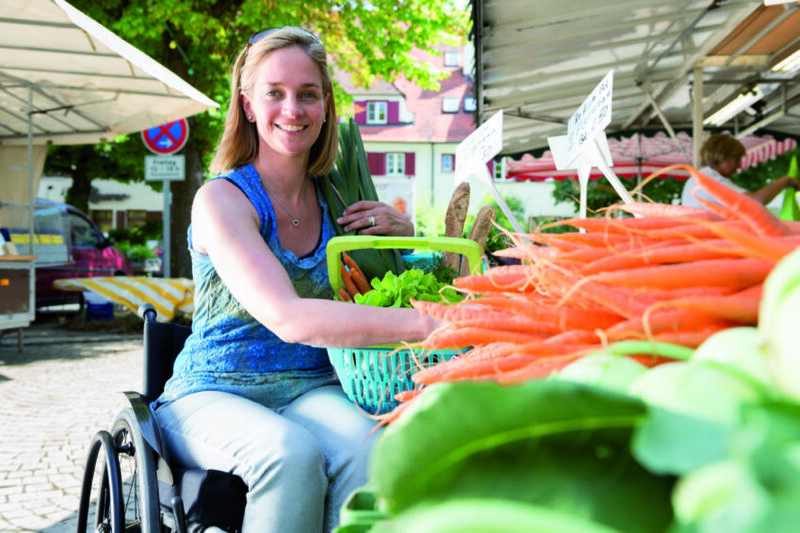 Without further ado, here are five top tips for improving your overall health as a wheelchair user. It goes without saying that stretching can be highly beneficial for your joints, muscles and maybe even your internal organs. As a wheelchair user, you’re probably subjecting your body to hours upon hours of being fixed in a seated position – something which is not overly good for your insides. Stretching out can often help to relieve some of the stresses and strains that you put your body under, especially if you’re unable to stand up independently. Stretching can also help those who manually propell their own wheelchairs. Constant strain on your joints and muscles from pushing a wheelchair can lead to pain complications later on in life – so remember to limber up and stretch before each day. Not enough people take good care of their diets, and with cancer and diabetes epidemics spreading like wildfire with each passing generation, it’s now more important than ever to take better care of what we put in our bodies. There are so many different diet plans out there, and there isn’t one diet which fits the needs of all – so it’s important to experiment with what works best for you, as well as continuing to educate yourself with the ongoing changes in what’s hot and what’s not in the world of healthy foods. Moderation is key, as with everything. Pressure sores can be a real nasty business, and can leave you out of action and bid-ridden for several months – or even worse, they can be life threatening if infection sets in. One useful tip to help try and avoid pressure sores is to remember to move your seating position as often as possible. 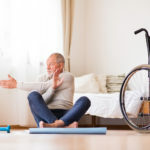 If you’re unable to move yourself in your wheelchair, then maybe try to seek out some assistance in moving at least once an hour – just to disperse the pressure on certain areas of the body. Another great tip for avoiding pressure sores is to acquire a pressure relieving air cushion for your wheelchair, which is not only extremely comfortable, but can go a long way towards preventing those nasty sores! 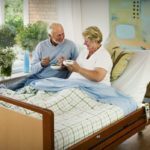 For more information on how to relieve pressure and the equipment out there to assist you with this, you might like to check out one of the articles on the Power Tilt on the invacare Passionate People blog! Everyone knows that exercise is one of the main pillars when it comes to maintaining a healthy lifestyle. Not only is exercise great for your heart and your overall cardiovascular system, but it’s also amazing for your mental health and can help to combat the likes of depression and anxiety. Everybody’s physical abilities are different, but there’s sure to be a sport out there that can suit anyone’s capabilities. Finally, increasing your fluid intake can also help with brain function and overall health. Further to this, switching from fizzy drinks to water will also have an increased health benefit and can assist with things such as weight loss. Regularly topping up your fluid levels can also help during times of ill health. If you’re unlucky enough to be suffering from some form of virus or infection, then ensuring you drink enough water can truly speed up your recovery process. Hopefully these tips have been of some use to you – just remember that everyone is different and not everything you read will be applicable to you. It’s all about understanding your own body and discovering what works best in your own situation. Good luck, and stay healthy!